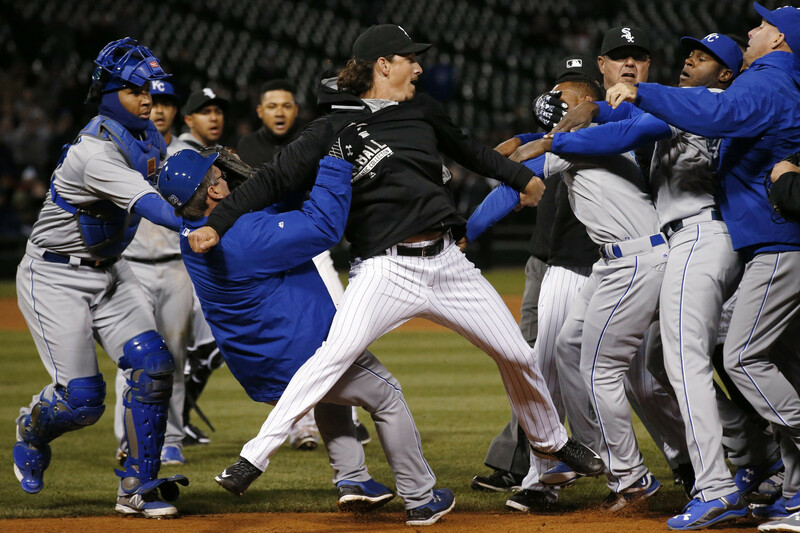 Suspensions were handed down for the Royals-White Sox scuffle that took place on Thursday. One of the central figures in it was Yordano Ventura,who got popped for seven games. Also earning suspensions were Royals pitcher Edinson Volquez (five games),White Sox starter Jeff Samardzija (five games), Kelvin Herrera (two games), Chris Sale (five games) and Lorenzo Cain (two games). While I’m fine with the suspensions handed down to the position players, the starting pitchers should’ve had their suspensions equated to the starts they’d miss. Samardzija,Ventura,and Sale should be missing starts, not games. I think if a starting pitcher wants to get into a fight in the middle of a field, he better think long and hard about doing so before suffering the consequences. Missing seven games is just missing a start,nothing more,nothing less. I think if we make it where a starting pitcher misses multiple starts, it might cut down on some of these fights that lead to not only retaliation after retaliation,but also possible traumatic injuries that this game just doesn’t need. 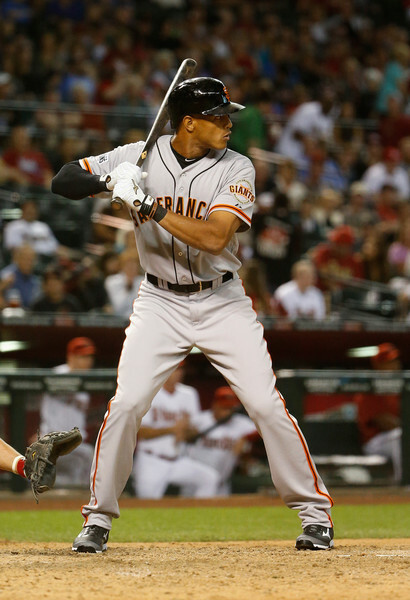 Justin Maxwell may very well be my impact player of the week for the Giants. He has hit three home runs and also has made great plays in the outfield in the absence of Hunter Pence. Maxwell has had a journey in finding a baseball home. He was in Houston for a few years and in 2012 hit 18 home runs, he was with the Royals for a short time last year before landing in San Francisco this year and securing a place on the 25-man roster. Even Bruce Bochy was gushing about him during spring training and he has no plans to move him out of the line-up when Pence returns. Bochy mentioned the possibility of an outfield rotation with Maxwell often in left, Pence in right and Angel Pagan getting days off here and there. It’s very nice to see a guy who’s had a long road getting to a good baseball home get his due. Something Bochy’s done a great job of throughout his managerial career. It looks as though the Chargers could be gearing up to leave for Los Angeles and I don’t like one bit of it. 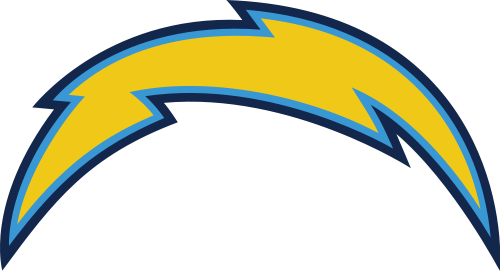 The Chargers have called San Diego home for 54 years and last week, the city of Carson approved a $1.5 billion stadium plan to get not only the Chargers to come north,but also the Oakland Raiders to come south to share it with their hated division rival. Both teams have called Los Angeles home at different points in their respective histories. The Chargers played there in their inaugural season in 1960,while the Raiders called L.A. home from 1982-84, winning Super Bowl XVIII in that time. San Diego fans have been very loyal to that team and I think the Chargers owe it to them to make one last push for a stadium there. I know,I know, it’s been a hard thing to pass through in that town and they’ve tried forever to get one there, but that’s a very loyal fanbase that loves that team and it would be disappointing to see them leave. By the way,for San Diegans who say they don’t want to build another stadium after doing so for the Padres, you only have to do this one more time and you’re done for the next 50 years. it’s either this,or your team goes bye-bye. You decide. ← Is the Edmonton curse finally ending?